VP Howard-Taylor cutting the robin to Liberia’s first comprehensive National Policy on Technical and Vocational Education and Training (TVET) center. Monrovia-Liberia - The Liberia Government has reiterated its commitment to the full implementation of Liberia’s first comprehensive National Policy on Technical and Vocational Education and Training (TVET). The policy along with its 5-year Operational Plan was launched in May of 2015 under the Government of former president Ellen Johnson Sirleaf. According to VP Howard-Taylor, the government of His Excellency George M. Weah will ensure the full implementation of this national policy ensuring that it is practical and well suited to the trajectory of the country’s present economic pursuit. Liberia’s Vice President Chief Dr. 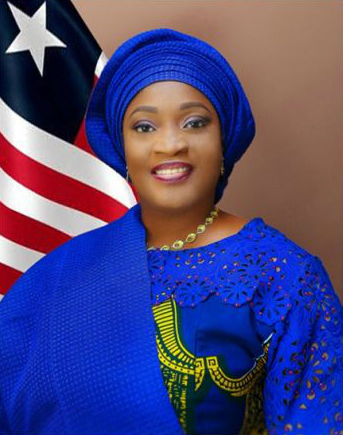 Jewel Howard-Taylor according to a release, made the commitment Friday at the dedication of the ArcelorMittal Liberia Vocational Training Center held in Yekepa City, Nimba County. She continued, “That is why our focus in the education sector embraces not only traditional opportunities, but also vocational skill training as one sure way to provide job-specific technical training, in order to open up opportunities for work in specific trades and sectors in our economy”. She expressed confidence that the natural talents of Liberians will be harnessed, thus beginning a process by which job availability and trained workers will be joined together aimed at reducing the high rates of unemployment and literacy. The Liberian Vice President then encouraged the young people who, she noted are predominantly the beneficiaries of newly dedicated vocational training center, to see the facility as a unique opportunity to take hold of their future and make use of it. She also called on local government officials who will take ownership of the process to take politics out of development and focus on the impact of the vocational training opportunity for the young people. Meanwhile VP Howard-Taylor on behalf of the government of Liberia is commending the Management of Arcelor Mittal not only for the completion of this much needed facility; but for remaining in Liberia through the challenging times, a role she believes is a success story. She averred that the Government looks forward to working with the Company through challenges which may arise, and celebrating with them in the good times. The Vice President concluded by stressing the need for qualified Liberians to be given the opportunities to serve in positions of middle and top management at MittalSteel and also to enlarge the training facility to host not just a few students; but hundreds; thereby becoming a national training center for training of trainers who can be deployed to other facilities across our nation. Speaking earlier during the program, ArcelorMittal's Manager and VTC Trainer Dawie Loots recalled the difficulties the Company has undergone; beginning with the outbreak of the deadly Ebola Virus Disease compounded by the decline in the value iron ore on the world market. Mr. Loots said despite these difficult times, the Company did not give up on Liberia, disclosing that many people worked behind the scenes to keep the dream of the VTC alive. 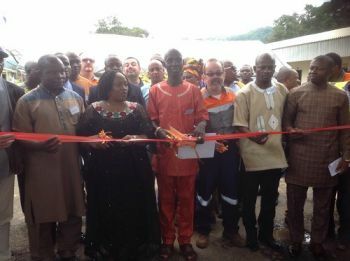 According him, the much heralded achievement of the Company began in 2017 when the first containers for the VTC were off-loaded for the first three workshops covering Electrical, Mechanical and Desele workshops.